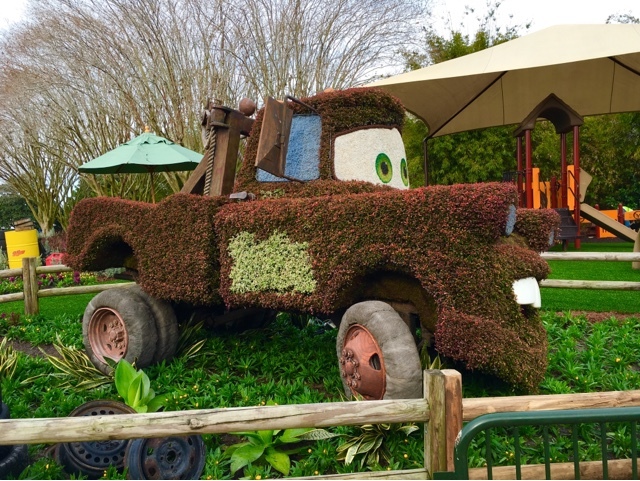 The Epcot Flower and Garden Festival features over 100 topiaries. 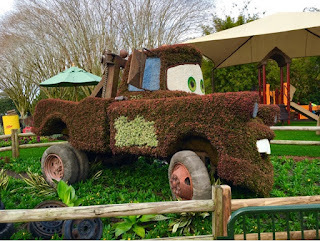 This Mater one has been here for several years, and is located near a kids playground that is unique to the festival. I took this shot last week, on opening day.